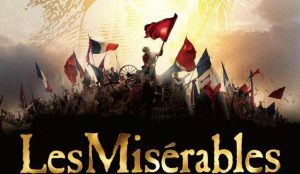 Our Lent Course this year is based on the 2012 musical film version of Les Misérables. Each week we will watch an extract from the film and then use this as the basis for some lively discussion, centred on a specific topic such as ‘Forgiveness’, ‘Sacrifice’ or ‘Heaven’. Although it’s a course you can attend as few or as many of the weeks as you want because each week will be stand-alone. The course takes place at The Vicarage at 7:30pm on a Monday evening, starting on Monday 11th March and running for 5 weeks through to Monday 8th April. Please do let Lucinda know if you are coming, or contact her if you have any questions.